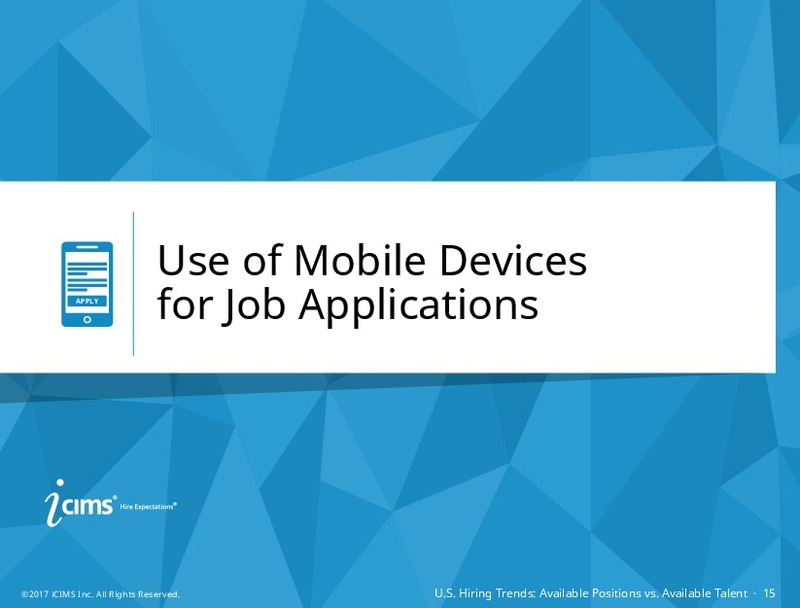 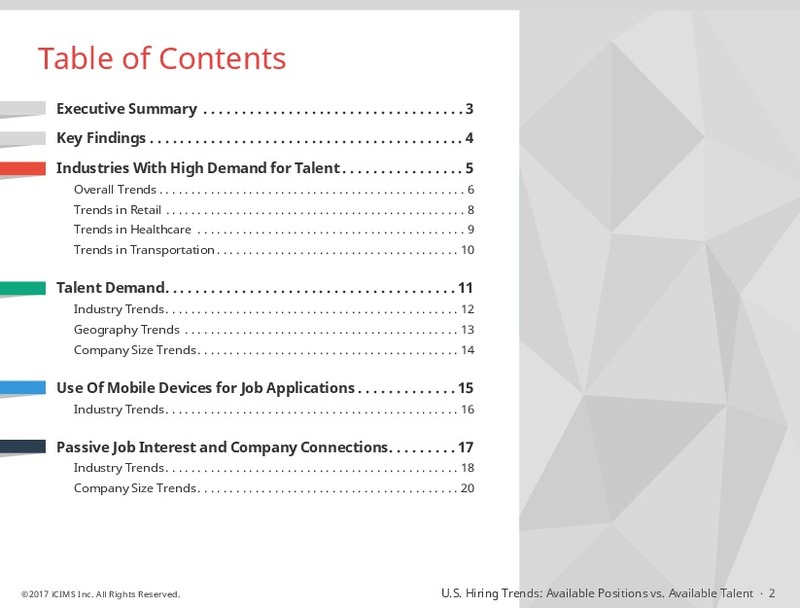 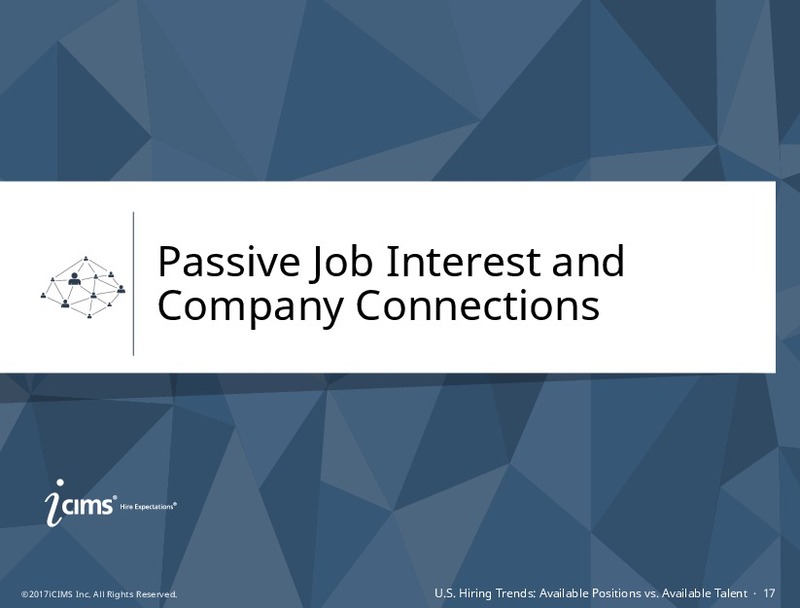 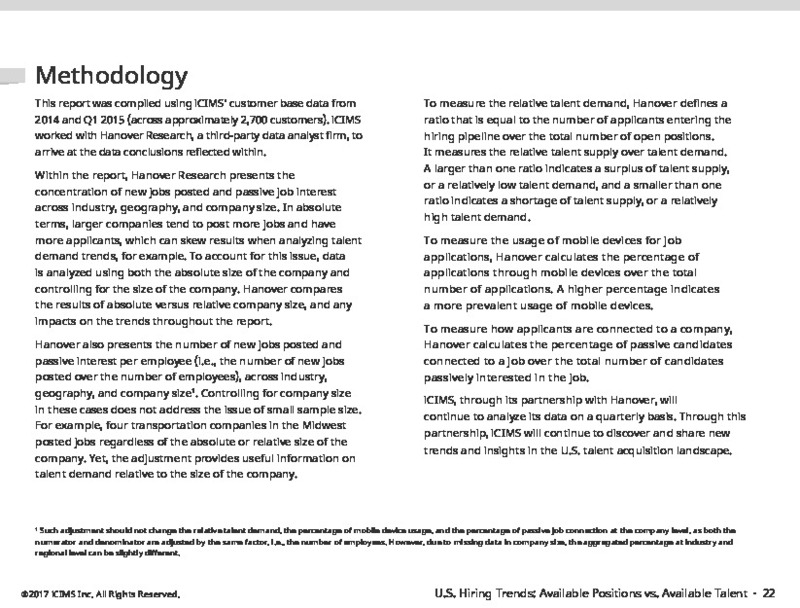 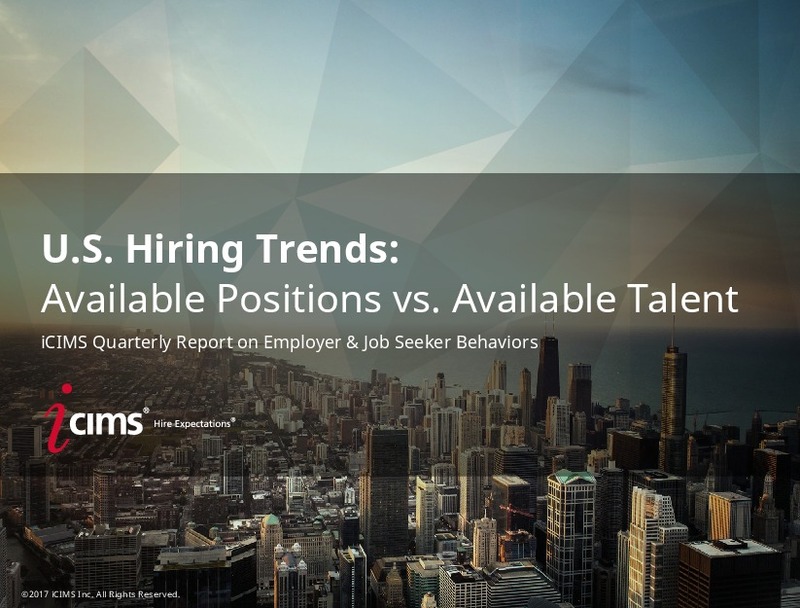 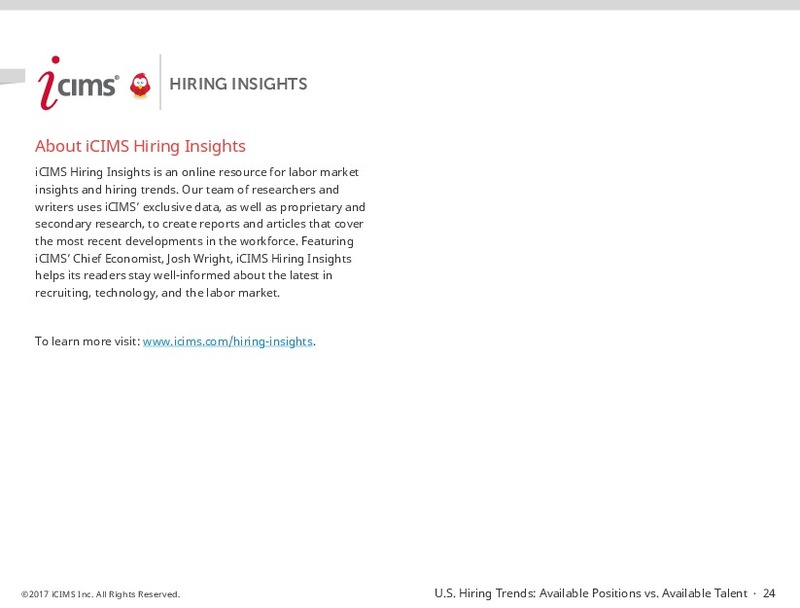 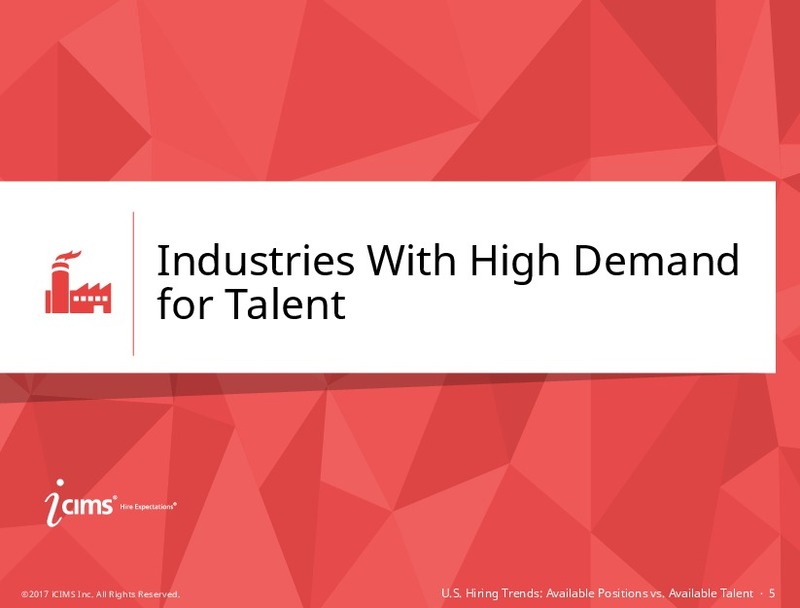 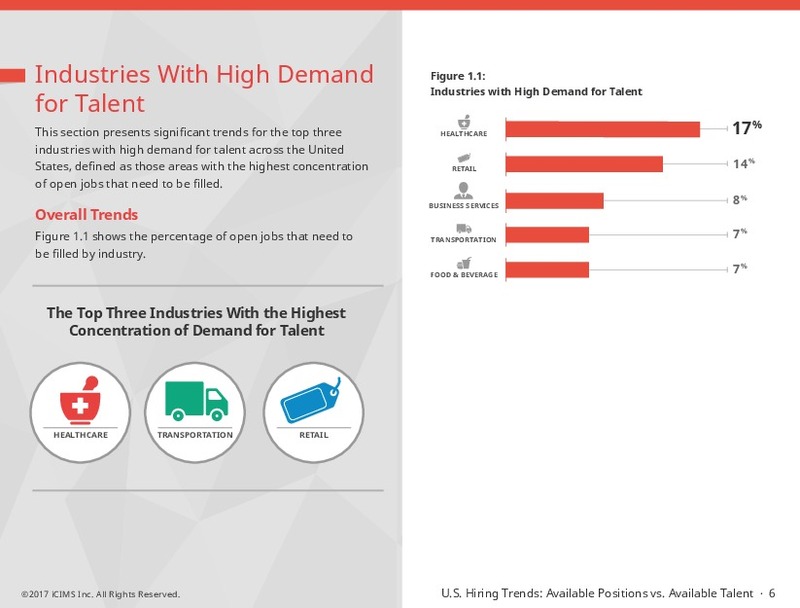 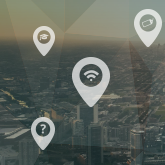 The following report presents job creation and demand trends for industries, geographies, and company sizes within the United States based on iCIMS' customer base data. 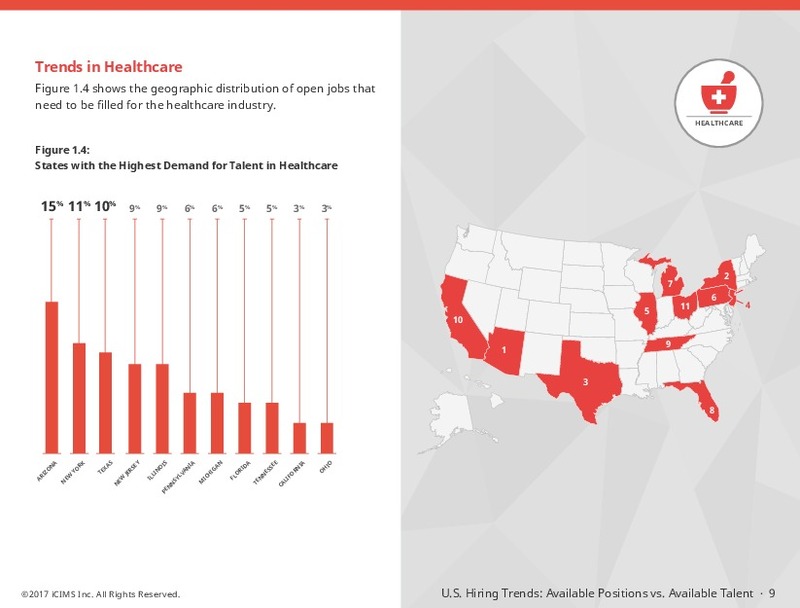 The West has the highest demand for talent (i.e., open positions) in the healthcare industry. 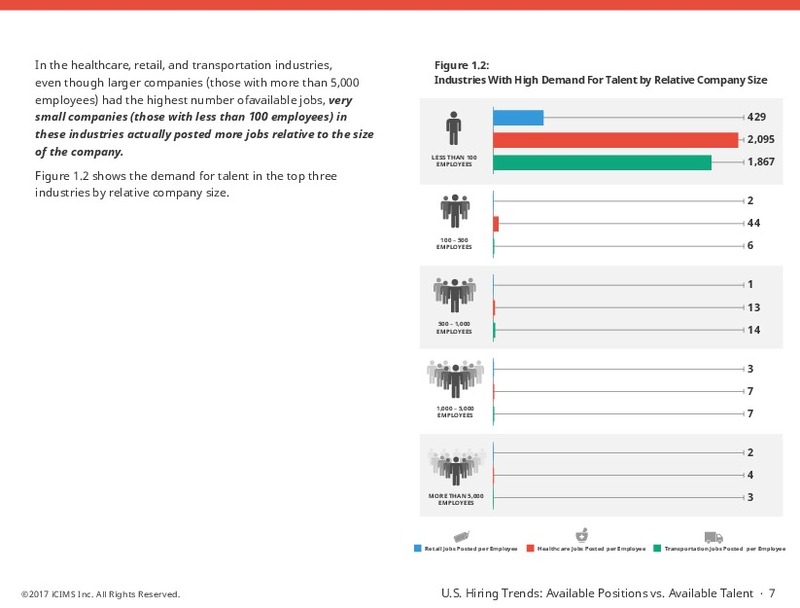 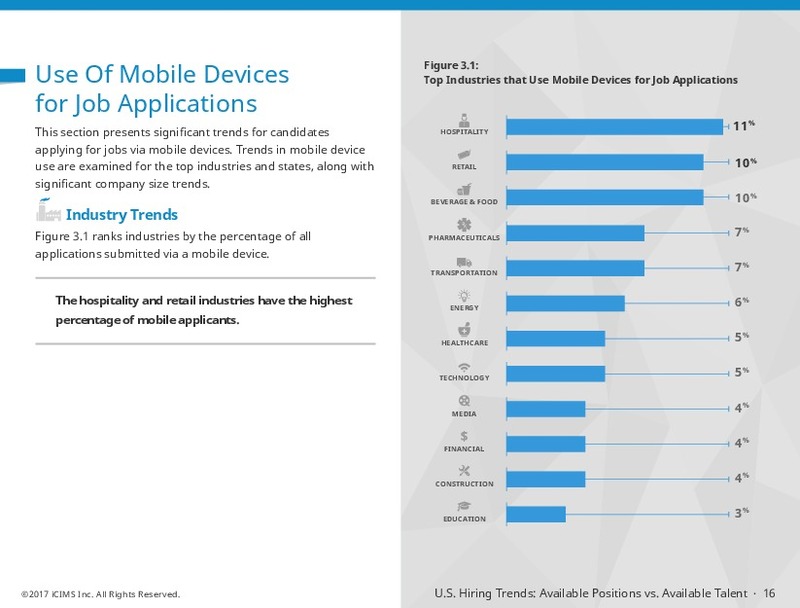 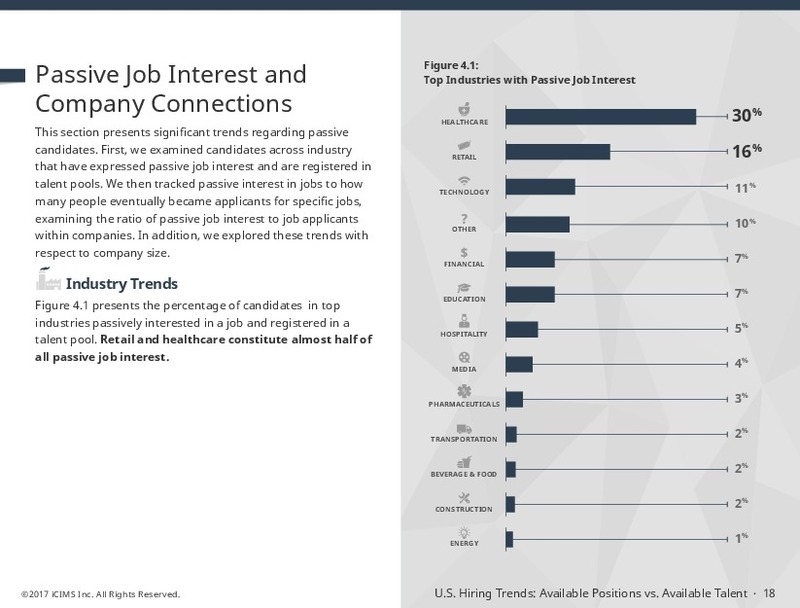 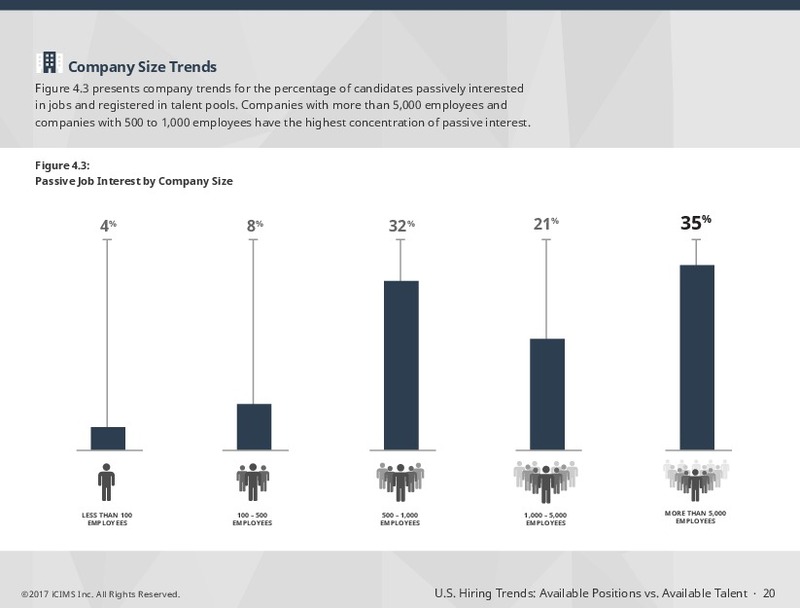 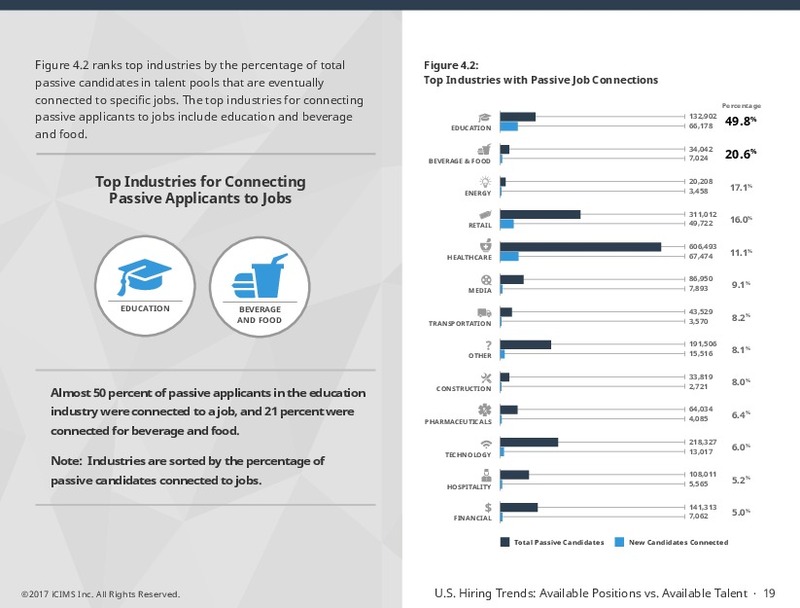 The technology and construction industries have the largest gap between talent entering the hiring pipeline and the number of positions that need to be filled. 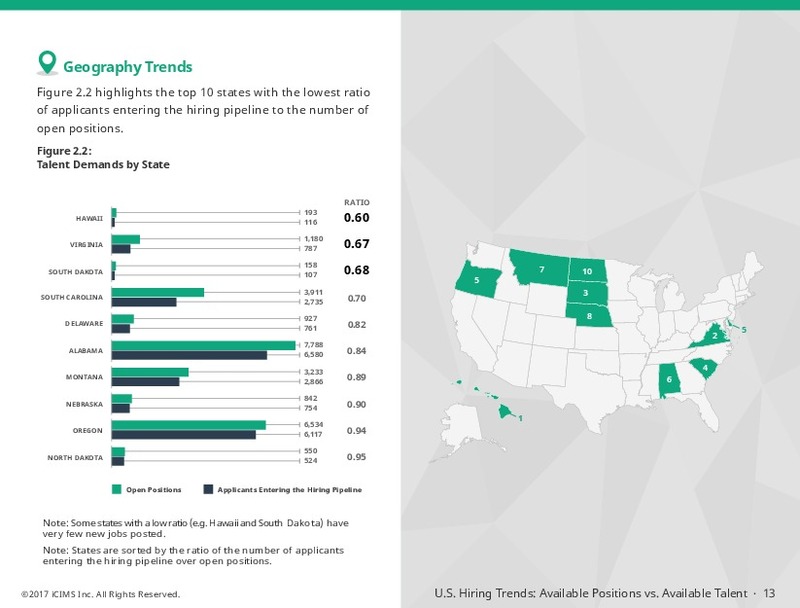 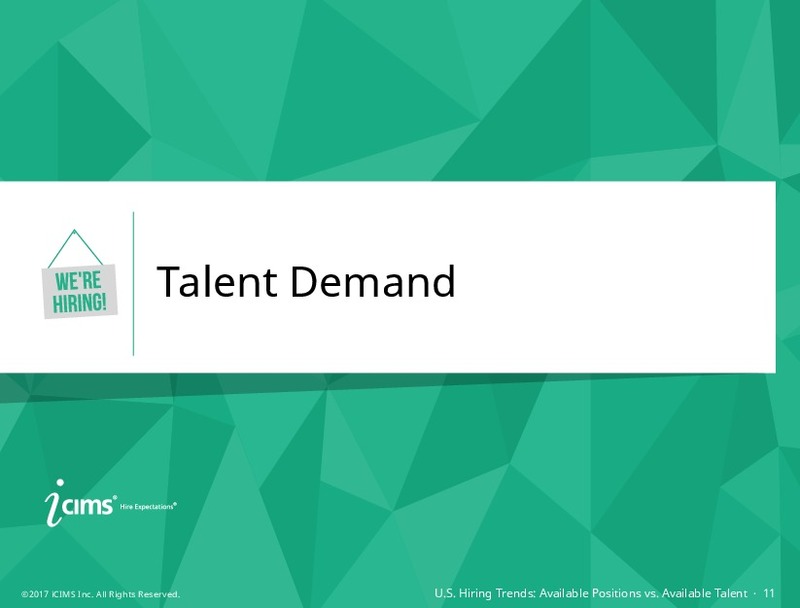 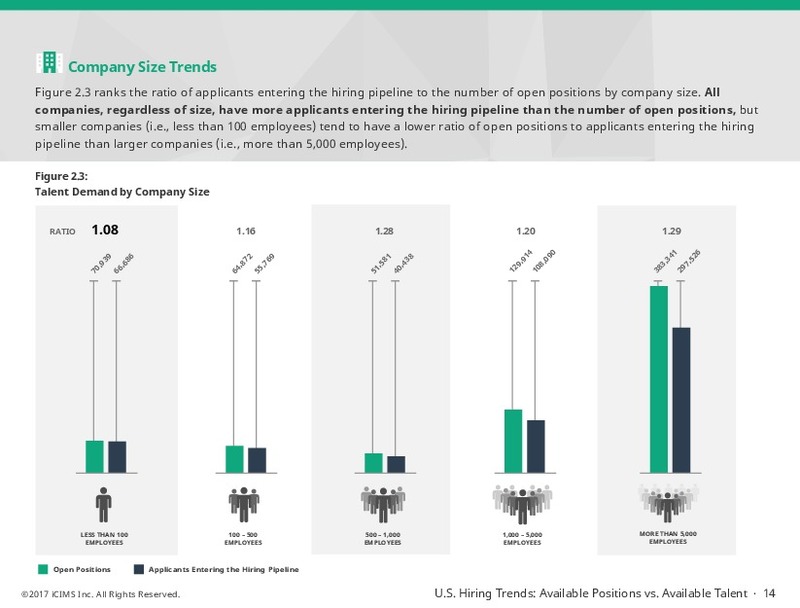 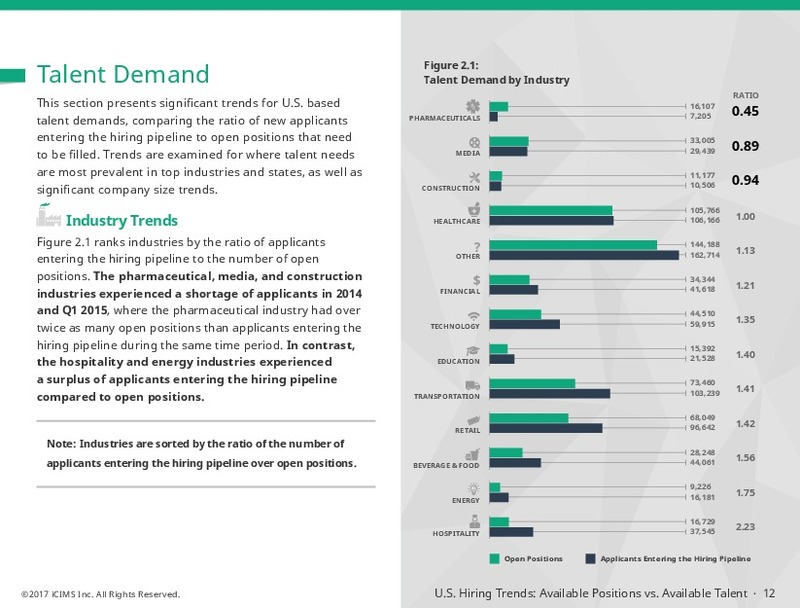 The West has the largest demand for talent with the lowest ratio of applicants entering the hiring pipeline to the number of open positions. 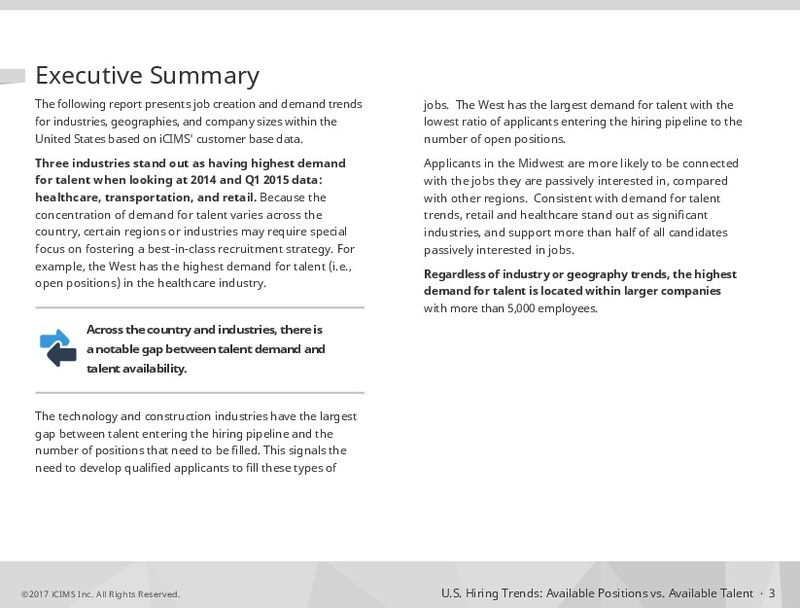 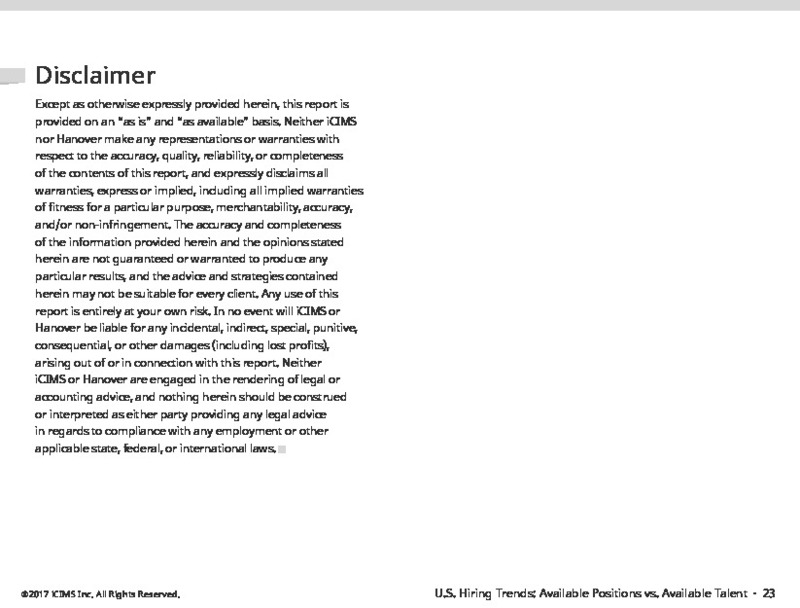 Read the rest of the report below!